South Korean tech giant Samsung has announced plans to invest about $1.9 billion in building a new non-memory chip line to address booming demand for mobile processors. The new production line will be built by the end of next year in the city of Hwaseong, south of Seoul, and will produce chips using 300mm wafers and 20nm and 14nm process technology — about as cutting edge as mainstream chip production gets considering Ivy Bridge and its Haswell successor launching in 2013 are both 22nm parts. 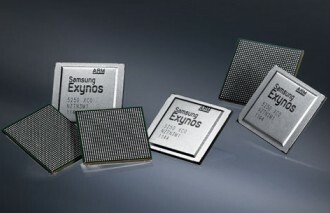 By comparison, Samsung’s current top of the line Exynos quad-core SoC found inside the Galaxy S III smartphone (except the US version) uses a 32nm process, while Qualcomm’s Snapdragon S4 uses a 28nm process. Of course, Intel is also gearing up for 14nm production, and even envisions shipping 10nm processors starting in 2015, with work on 7nm technology beginning soon after. The stakes are certainly high. According to research firm Gartner, demand for system chips used in smartphones and tablets is set to more than double to $59 billion in 2016 from $23 billion last year. Samsung makes application processors for Apple's iPhone and iPad as well as several of its own devices. It’s also the world’s largest memory chip maker, another key area for mobile devices, and has plans to build a $3.4-$4.2 billion NAND flash memory chip manufacturing plant in China to continue growing its lead.